It’s been a busy week of Facebook headlines, with everything from new features, spam filter snafus, and more inevitable IPO news. The most recent story hasn’t been in Facebook’s favour, with Robert Scoble coming face to face with Facebook’s unfortunately worded spam filter message, which in any other context can be perceived as blatant censorship. 1. I’m subscribed to @max.woolf https://www.facebook.com/max.woolf and am not a friend of his in the system. That means that the spam classification system treats comments more strictly than if we were friends. 2. My comment included three @ links. That probably is what triggered the spam classification system. 3. There might have been other things about the comment that triggered the spam system. The PR official I talked with told me that the spam classification system has tons of algorithms that try to keep you from posting low-value comments, particularly to public accounts (er, people who have turned on subscriptions here on Facebook). While Facebook openly admits that it was all a mistake, the wording of the message leaves a pretty bad taste in our mouths. If messages are being blocked because of spam, say that. Don’t call it “irrelevant or inappropriate” content because that still sounds like censorship to us. Earlier in the week, Facebook was firmly focused on a brand new ‘life-saving’ feature which Mark Zuckerberg hinted at during an interview on ABC’s Good Morning America. With the addition of “organ donor” to the Life Events section of timeline, you can state your intention to become an organ donor, and share your story about when, where or why you decided to become a donor. If you are not officially registered as an organ donor, sign up with the appropriate registry. Zuckerberg gave ABC a little bit of insight into where the idea came from, citing conversations with his girlfriend, Priscilla Chan, who also happens to be a student pediatrician, as part of his inspiration. So how much sway does Facebook have over encouraging its users to become organ donors? As far as its California-based users are concerned, Facebook is apparently quite influential. Organ donor registration in California saw an 800% increase thanks to Facebook. In addition to introducing Facebook’s organ donor feature, Simply Zesty points to the huge overhaul that the Facebook newsfeed has witnessed, and what it means for the end user. The social network has also introduced ‘action links’ to interact with your favourite apps. So what does that mean? 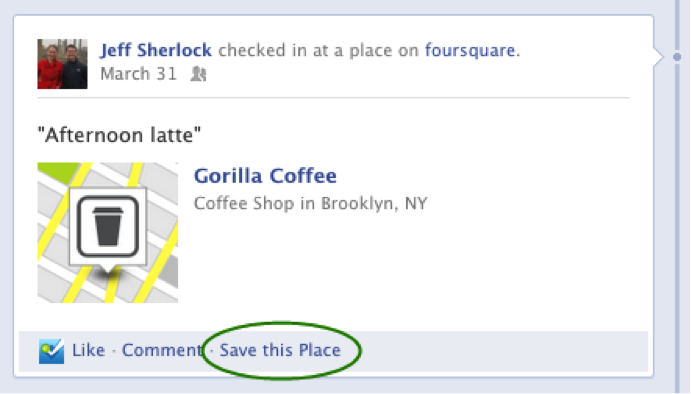 With Foursquare, for example, users can now save places to their accounts from a Facebook Timeline post. With Fab, users can add products to their favourites from the comfort of Facebook. The feature offers app developers an easy and quick way to drive traffic to their own sites, and is probably one of the many reasons that Facebook’s Open Graph might be its most valuable asset. Open Graph has led to a 50% % increase in traffic and 90% increase in daily registrations for Kobo, and while that’s obviously great news for Kobo, it’s even better news for Facebook. As developers see results from integration Facebook’s Open Graph with their products, more are sure to follow suit, and we could easily find Facebook deeply embedded in a huge variety of services, and by extension, a huge part of our lives. As Facebook continues to connect with more services, users do have to understand how much information they are (or aren’t) sharing publicly. A recent study by Consumer Reports showed that as many as 13 million US Facebook users have never used or don’t understand Facebook’s privacy settings. Facebook has also made headlines this week with another major purchase, buying location app Glancee, and has begun to to roll out filters to its mobile apps, with the changes seen in Facebook for Every Phone. The final bit of Facebook news we’re going to take a look at today involves the long awaited IPO, with the Wall Street Journal sharing some details. According to the WSJ, Facebook will go public at a valuation of $85 to $95 billion, pricing the company’s stock around the high 20s to mid 30s, and expects to raise around $5 billion in the offering. Twitter has introduced some subtle but significant changes over the past week. The first change came to the Discover Tab, with Twitter making it far more personal and far more useful. The Discover tab’s new design shows who tweeted about particular stories. 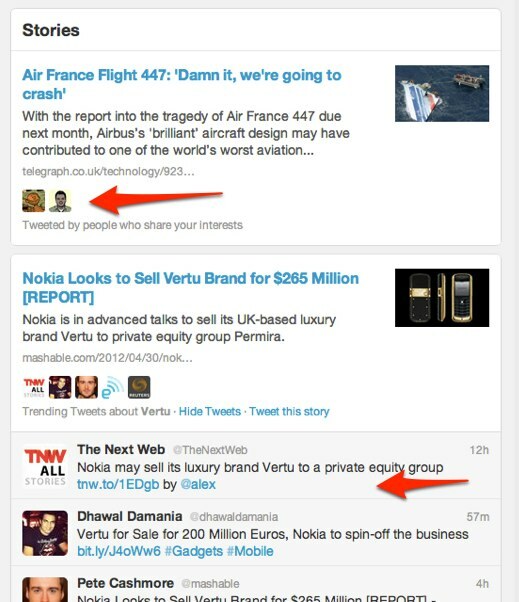 You can click “View Tweets” on any story to see popular Tweets from your network or recent, relevant Tweets directly below the story summary. This social context helps you understand why each story matters to you and makes it easier to join the conversation. You can reply, retweet or favorite these Tweets, or you can “Tweet this story” to share your own perspective. The next day, Twitter introduced additional, but far more subtle changes concerning its UI, after which Twitter confirmed the changes. The big Twitter rumour this week is that, in a knee jerk reaction, the microblogging service considered buying popular iPhone camera app, Camera+. According to Bloomberg, Twitter execs, led by Jack Dorsey, met with Camera+ developer Tap Tap Tap, but the deal was quick to fall through due to a relocation issue, with the majority of the company’s staff based in Austria, New Zealand and Spain. How to store, process, analyze and make sense of Big Data is of increasing interest and importance to technology companies, a wide range of industries, and academic institutions. In this course, UC Berkeley professors and Twitter engineers will lecture on the most cutting-edge algorithms and software tools for data analytics as applied to Twitter microblog data. Tumblr has introduced its first Sponsor products, giving advertisers the chance to get featured in Tumblr’s Radar and Spotlight sections. According to the blogging platform, Tumblr Radar receives 120 million daily impressions, while Tumblr Spotlight, where users are featured, reportedly drives tens of millions of follows each week. 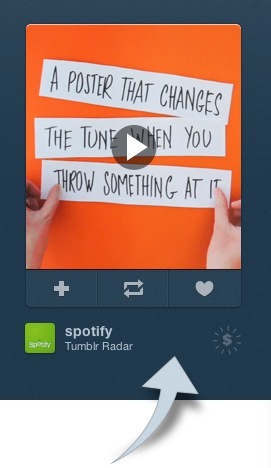 Tumblr had already hinted at its monetization plans, despite the fact that Tumblr founder David Karp had been very publicly against the concept of advertising. In his defense, Tumblr has worked hard to ensure that advertising is seamlessly integrated into the overall blogging experience. The ads have been priced starting at $25,000, which has led some to question whether or not that’s a viable pricing point for Tumblr, pointing to the fact that Twitter’s starting point is a lower $15,000. Ars Technica reports that New York City’s Department of Education has introduced a set of guidelines for teachers to adhere to when it comes to their social media use, while making an important distinction between personal and professional accounts. While the city encourages social media use in the classroom, it’s not without a strict set of rules, which don’t stray too far from the existing set of offline guidelines. While the same common sense applied to an offline relationship is expected to be brought to an online one, a huge difference is the fact that the latter will be monitored. Teachers have been told that they should have “no expectation of privacy”, and teachers must provide administrators and officials with access to these professional accounts.